I finally used my cherry cookie cutter! I think I like the sheep better; this looks too close to an apple for my preference. 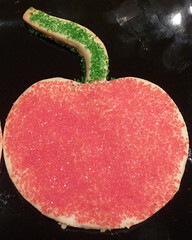 Closeup of the cherry cookie. 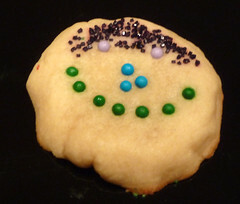 I didn't have enough dough left for my cookie cutter, so I made a ball and then created a face with hair. Why? Why not?